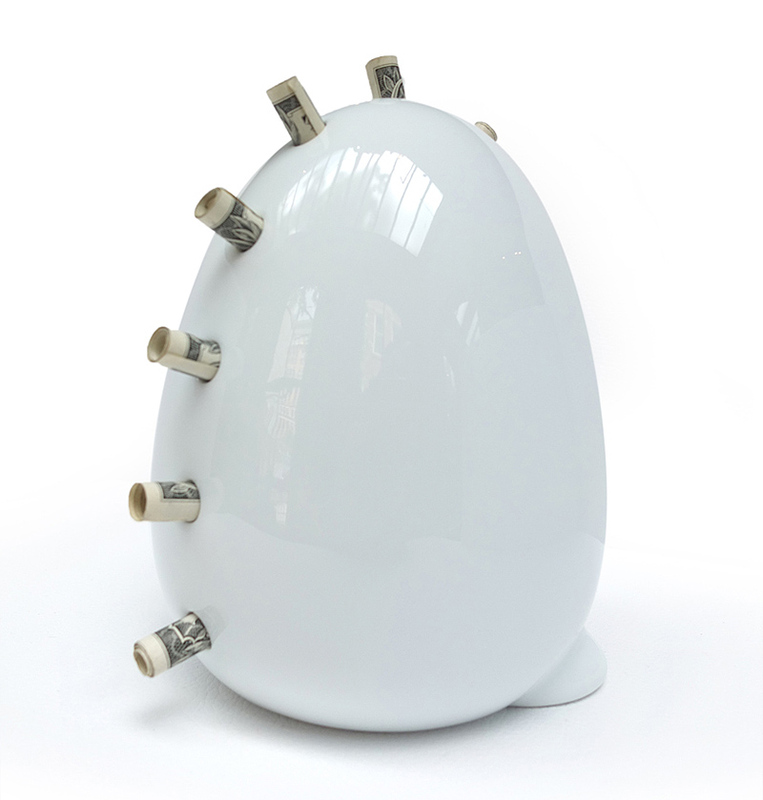 This is BB Billosaur, a ceramic piggy bank for paper currency. He is made by Le Mouton Noir & Co. Le Mouton Noir is located in New York City. I am not surprised (I miss it there). For many years we have followed the heard like a flock of sheep. Working hard, learning and growing, we have never let go of our dream. The black sheep finally wakes up and steps forward to have some fun. BB Billo seems difficult to resist: A paper currency-only porcelain piggy with holes down his back emulating a Stegosaurus-like Mohawk, made by black sheep!